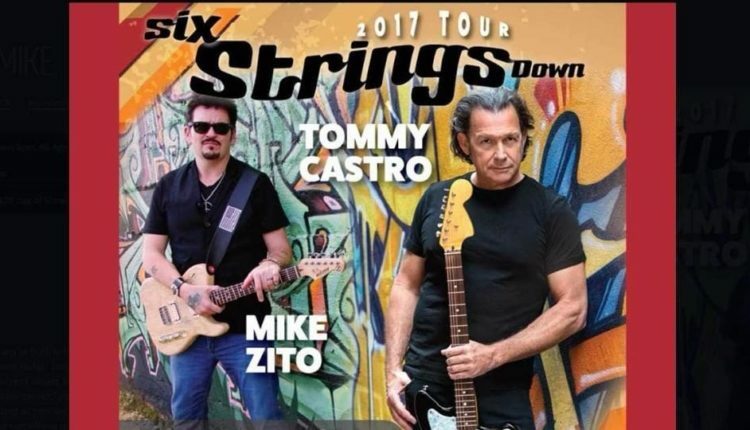 Blues greats Tommy Castro and Mike Zito head off on tour together next week. The joint tour makes four stops in New York in Buffalo, Syracuse, Albany and Beacon, as well as several other Northeast dates. 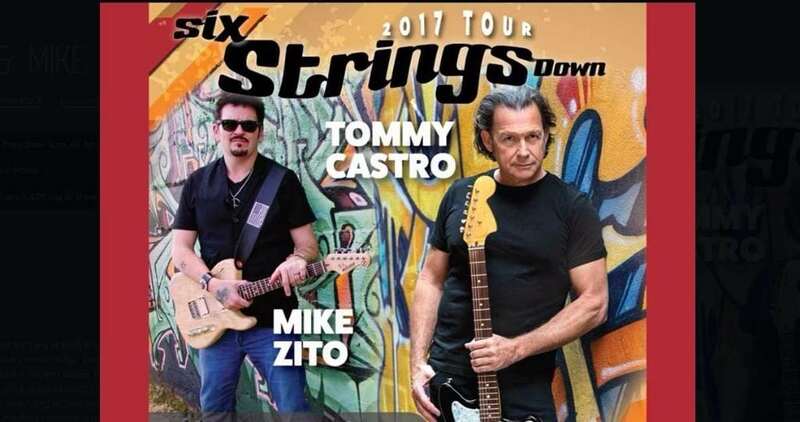 Blues guitarists Tommy Castro and Mike Zito head off on a unique joint tour, dubbed the Six Strings Down Tour, that will see the two artists performing alongside each other rather than separately. The 20 night tour kicks off on Thursday, April 20 in Auburn Hills, Michigan and closes out on May 13 in Kansas City, Missouri. The Six Strings Down Tour makes four stops in New York. They’ll be at Buffalo’s Tralf Music Hall on April 23, Syracuse’s Funk ‘N Waffles on April 25, Albany’s Upper Room the next night on April 26 and, after two nights in New England and a night off, Beacon’s Towne Crier Cafe on April 30. 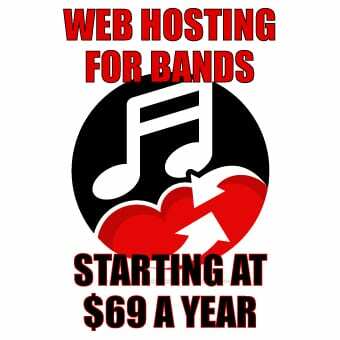 They also play in Mexicali Blues in nearby Teaneck, New Jersey on May 2. Backed by Castro’s band the Painkillers, the two guitarists will trade off on their own material as well as some tunes from their influences and other songs they can perform together as a single unit. Sold Out: Steel Panther in New York City!